Registrations for the first season of the NEO Endurance Series was a complicated experience. Due to the unexpected popularity of the NES, the registration process was more chaotic than needed. On top of that PayPal decided to have problems on the night of registrations. This is something the organizers never want to experience ever again for the teams and the organization itself. NEO will overhaul the registration process to avoid this kind of chaos in the future. The new registration process will take longer and will make sure the fastest, consistent and safest teams will be on the grid. New for the future are the automatic invitations for the NES. In total there are 27 automatic invitations. The top 8 at the end of the season of each class will get an automatic invitation for the next season. Also the top 3 of the GoT Endurance Series will receive an automatic invitation. These 27 teams will have enough time to complete their registration. If a team does not want to use their invitation, this entry will be available for others. At the moment NEO cannot say anything about the total number of entries for the season, because it all depends on the schedule and the available pit stalls for season two. The remaining entries will have to be earned on the track through a qualifying process. It will not be a hot lap competition where only the fastest lap counts, it will al be about the average lap times. All classes will be on track simultaneously and teams will have to manage traffic. 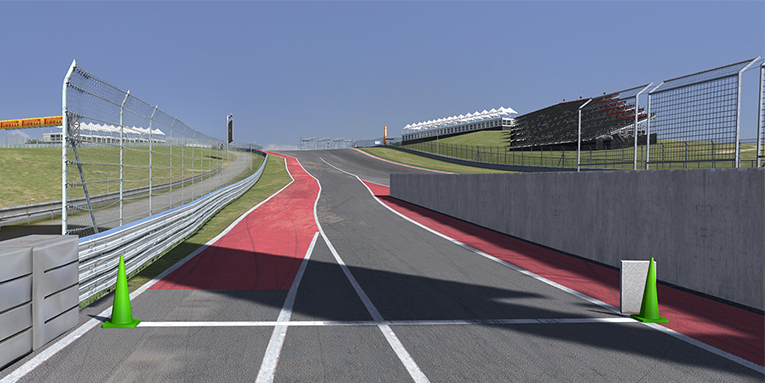 Also multiple drivers will have to drive multiple clean laps. Being fast, consistent and know how to manage traffic will be the key to get in to the NES. More details about the next season will be released in the coming months.